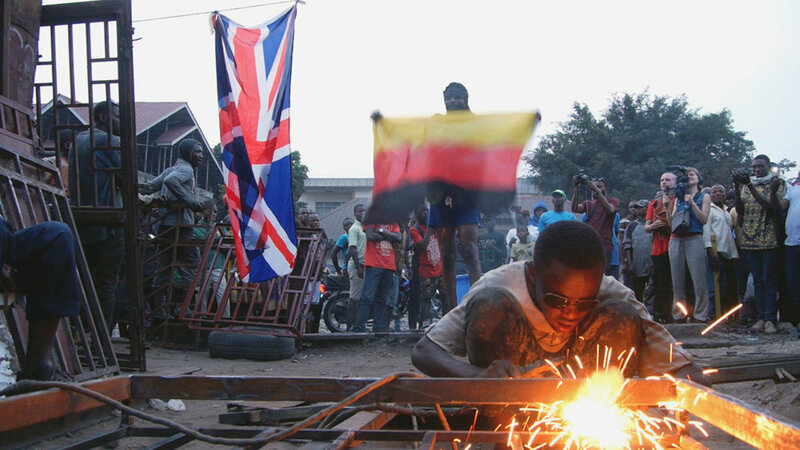 'Faire-part' is a medium-length documentary about young performance artists in Kinshasa. Through their artistic work, they bring social injustices to light and raise questions on the legacies of colonialism. The story takes place on the eve of postponed Congolese elections. Through dynamic images of the performances in Kinshasa's public spaces and conversations on location, we discover the intentions of the artists. In 'Faire-part', Belgian cineasts Anne Reijniers and Rob Jacobs direct side by side with Congolese filmmakers Paul Shemisi and Nizar Saleh. Together, they create a film about politically engaged artists, but the filmmakers also point the camera at each other. Their relationship becomes part of the film, and serves as a guideline that connects the different parts of the story.